Following is my premiere shortwave radio column for the January 2014 issue of The Spectrum Monitor digital magazine. It takes the form of a review–or “shoot-out,” if you will–of a few select mechanically-tuned DSP radios I’ve tested over the years. While I’m a big fan of print publications, digital publications like TSM offer me flexibility that I can’t get in traditional print: namely, shorter time to publication (thus more up-to-date information) and especially, the ability to embed links and audio as I do here on The SWLing Post. In this case, I’m able to include audio clips which the reader can utilize to compare the radios firsthand (embedded here, as well). Note: This being my first contribution to a brand new magazine, I thought it would be fitting to begin by explaining why I still believe in shortwave radio…I mean, how could I resist? 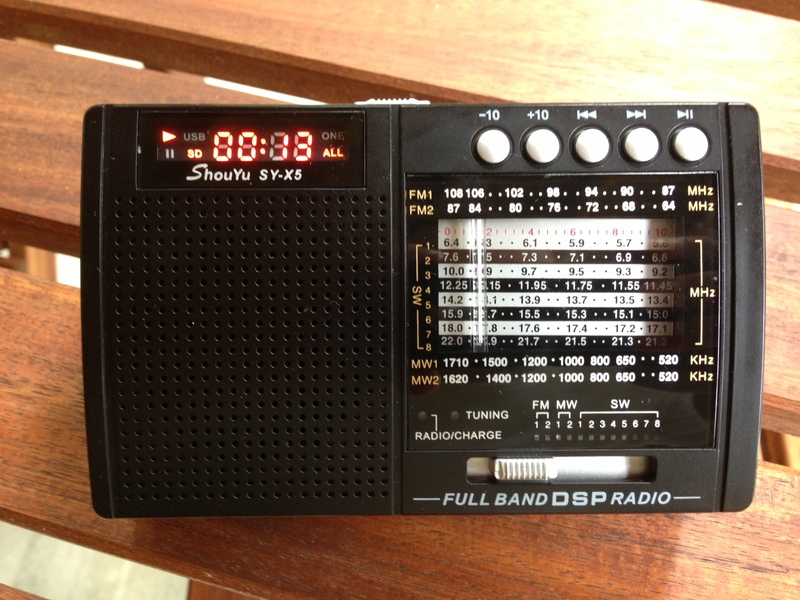 I guess I’ll always be a shortwave evangelist at heart. My response? No way! Here’s why. I once had the truly good fortune to be interviewed by Gareth Mitchell, host of the BBC World Service technology program Click. For once, I made a point of listening to this interview that featured me––always a bit embarrassing––but after all, this was the BBC World Service! Wow…how true. 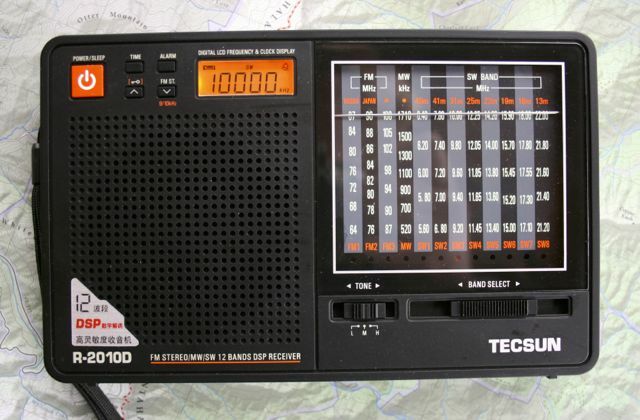 And since that interview, this is exactly how I see shortwave radio, too: not as a forgotten relic of the past century, but as a medium at home in the future with a unique, highly accessible, and yet global reach. 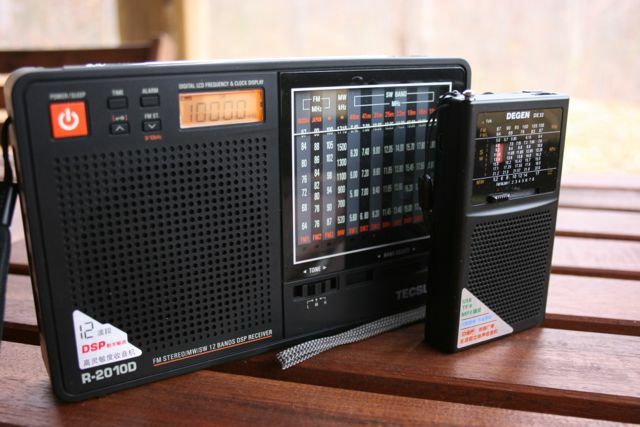 Shortwave radio, after all, requires no apps, no subscriptions, and no mobile phone or Internet connection to deliver information worldwide at the speed of light. All you need––in short––is a radio. This column exists to prove to the doubtful that shortwave radio––indeed, radio in general––is not only alive and well, but loud and clear in urban as well as rural settings the world over. Here, you’ll find in-depth articles that reflect the changing state of shortwave radio: the technologies, the techniques, and the vast array of content currently available across the shortwave radio spectrum. 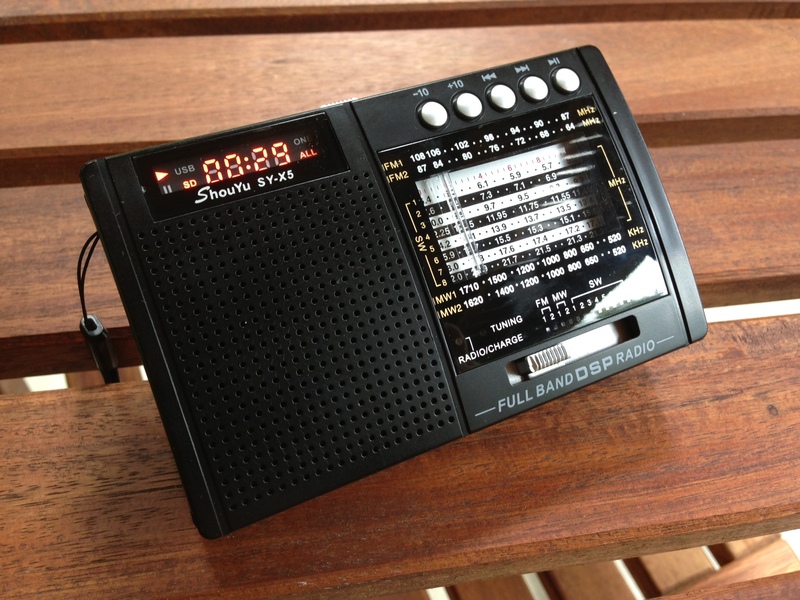 Best yet, because SWLing (shortwave listening) is what you make of it, you can be part of it: share your input, so that I can cover (and uncover) shortwave topics you wish to discuss. So I begin this first column with a little comparison––a shootout––between five newly-popular analog DSP radios. Let’s find out who’s left standing. We’ll be pitting five models against each other here: the Degen DE321, the Degen DE32, the Tecsun R-2010D, the Kchibo KK9803 and the ShouYu SY-X5. With the exception of the ShouYu SY-X5, all of these manufacturers have in the past produced at least one portable with truly notable performance (the Degen DE1102, 1103, Kchibo D96L and an array of Tecsuns, including the PL 310, 380, 390, 600 and 660). Moreover––so that you can hear the difference for yourself!––I’ve included linked audio clips for each model. They were all tuned to the same frequency, same broadcast and within seconds of one another. But first, what is a DSP radio? And why do we need them? The Silicon Labs DSP chip found in many of these radios. Radio is no longer just your granddad’s medium. 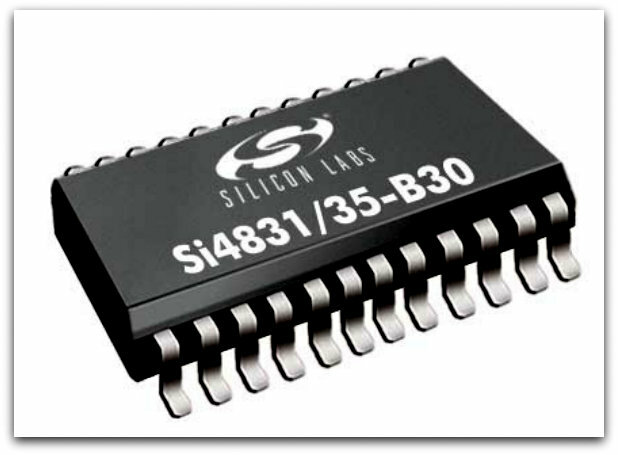 Several years ago, the digital signal processing chip manufacturer, Silicon Labs (SiLabs), altered the entire radio landscape with one little chip. Indeed, most new digital shortwave/AM/FM radios on the market use a SiLabs (or other manufacturer’s) DSP chip as the centerpiece of their receiver architecture. Using a DSP chip in a fully digital radio makes sense: after all, you have a digital display, digital buttons, and digital encoder. But using a digital chip with a traditional analog display––a mechanically-tuned DSP radio––does that make sense? I’ve now reviewed enough mechanically-tuned DSP-based radios that I’m beginning to note performance commonalities that can only be attributed to the design of the DSP chipset itself, regardless of how these are implemented in each model. So, before the shooting starts, let’s take a quick look at some common review points of the contenders. I’ve got to begin with the most obvious common review point: namely, tuning. For those of us accustomed to analog tuning, the DSP/analog combination is, well, completely different and a little quirky. Tuning a traditional analog radio is a fluid process which allows for a certain amount of play; you need not be precisely on a frequency to hear a station, and often you hear a station fade as another pops into the band pass. But when tuning analog DSP, you hear stations and static pass by in comparatively coarse 5 kHz chunks. Especially in radios with tiny analog frequency dials, it makes tuning feel somewhat “sticky” or finicky, and ironically, rather imprecise. You feel like you’re skipping over stations while band-scanning. And for those accustomed to digital tuning, instead of using buttons to tune in these 5 kHz increments, you’re using a tuning wheel, with no customary “step” response. Not what you would expect from either digital or analog radio. But of course, you can locate your station with this method. It takes a little practice––and a measure of patience––but you’ll adjust to this different method of tuning. Note that much of this awkwardness may disappear if SiLabs produces a chip with more precise tuning increments, such as 1 kHz steps with decreased muting. In all the models I’ve tested so far, the Auto Gain Control (AGC) is a little too overactive when listening to weak AM/SW stations. This results in a “pumping” sound and serious listening fatigue when set on weaker stations. However, on strong stations, all models perform quite well. 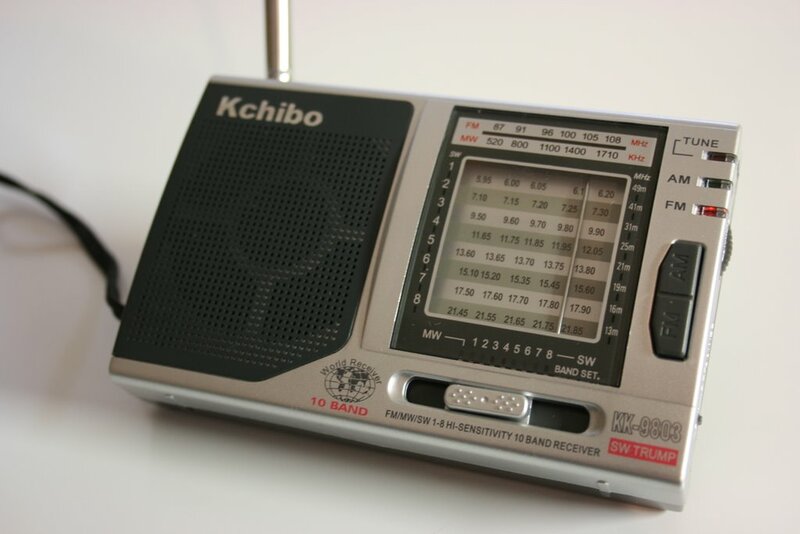 Since all of these radios are based on the same chip family from SiLabs, you can expect eight shortwave bands: two FM bands, one AM (medium wave) band, and eight shortwave bands. The frequency ranges available to the manufacturer in all bands are identical. FM performance on each of these radios is above average, and the coverage quite wide––from 64 MHz to 108 MHZ in two FM bands. If you like listening to FM radio, you’ll be pleased with any of these inexpensive models. And now for some action! Now, we’ll pit these five radios against each other in an listener’s challenge that will leave the losers in the dust…and the winners clear. The DE321 was the first analog DSP shortwave radio on the market. The DE321 is small, slim, über-simple, and fits nicely in the hand. 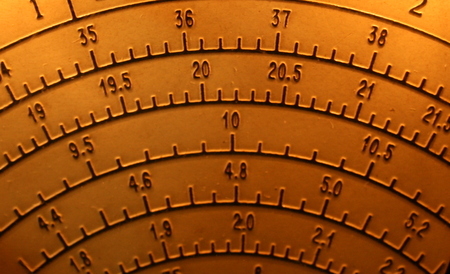 The analog tuning dial takes up more than half of the front face of the radio––a good thing, as the larger the dial, the easier the tuning. Performance-wise, the DE321 holds its own in this crowd; it’s quite reasonable in both sensitivity and selectivity. 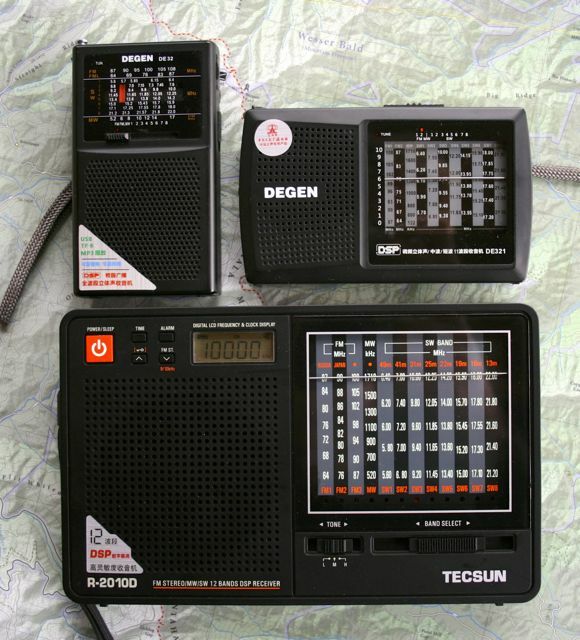 The DE321 is the most bare-bones radio among the five described here. 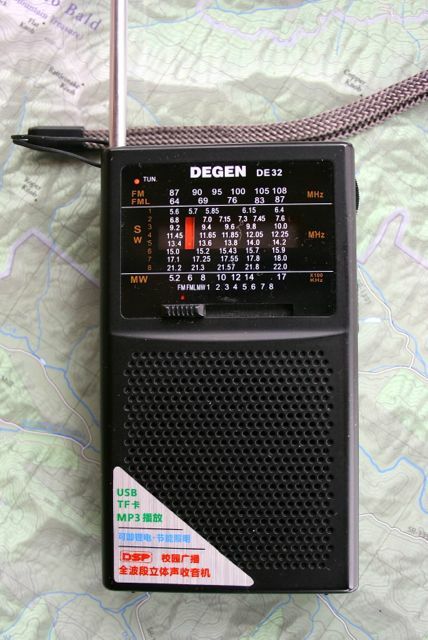 The DE32 is the smallest radio of the five. Unlike the DE321, the DE32 is not “just” a radio; it also sports a simple MP3 audio player and a small white LED flashlight. The DE32 has a small built-in speaker which delivers tinny and rather cheap audio, but is okay for a single listener, and fine for spoken-word broadcasts. Audio fidelity is greatly improved with headphones. Performance-wise, the DE321 is slightly better than the DE32 on shortwave. When I first held the R-2010D, I initially assumed I had found the holy grail among analog/DSP radios: while the R-2010D is the largest of the five radios, measuring nearly equivalent to my Sony ICF-SW7600GR (not a pocket-sized portable like the others) it nonetheless has a beautiful large analog display (a major plus! ), an amply-sized speaker for great portable audio, and a fluid tuning mechanism. To top it off, the R-2010D has a small digital frequency display so that you can verify your frequency. The R-2010D’s AGC circuit handles strong stations well, but clips on weak stations. But the promising R-2010D has one major flaw: terrible selectivity. Indeed, the selectivity is so sloppy, that you will not be able to delineate two strong signals spaced 10 kHz apart from each other. The SY-X5 surprised me: what makes this model stand out is the fact that it can be powered by either a rechargeable slim battery pack (found in the DE32) or three standard AA batteries. It also has a built-in MP3 player that, like the Degen DE32, uses a standard microSD card for media storage. Unlike the DE32, the SY-X5 has a bright red LED display that helps in navigating MP3 files. The SY-X5 also has surprisingly good audio from its built-in speaker, rivaling the much larger Tecsun R-2010D. The negative here? Though the SY-X5 has a fluid tuning mechanism, it is prone to drifting when trying to adjust the analog tuning needle to frequency. When I first wrote this review, I didn’t even include the KK9803. Why? Because, frankly, it’s one of the worst performing radios I’ve ever owned, and I would strongly discourage you from even considering it. My primary criticism of this radio is that the tuning is barely functional: the shortwave band segments are far too close to one another on the dial, hence the digital tuning steps are too narrowly-spaced to offer any sort of tuning accuracy whatsoever. Barely moving the tuning wheel, one may pass over even a strong station…undetectably. The only hint of the station’s existence may be an occasional quick blip or audio buzz. I must confess that the experience of band-scanning (tuning) this radio offers is the worst I’ve ever known in any radio. Don’t buy it. In our shootout, it’s bitten the dust before it even aims, because let’s face it: this radio just can’t. Click on each radio model to hear a short comparison audio clips. Note that I added an audio sample of the Tecsun PL-660 to the weak signal DX examples as a benchmark. The Tecsun R-2010D (left) produces excellent audio from its large internal speaker. The Degen DE32 (right) produces “tinny” audio via its tiny built in speaker. If I had to choose just one of these radios, it might just be the ShouYu SY-X5. It offers the most value and versatility for the performance. I think its audio is brilliant for a pocket radio, and I love the fact it has an LED display to help me navigate through the MP3 files loaded on my microSD card. However, as with any of these low-cost contenders, don’t expect to try any weak-signal DXing with the SY-X5. By the way, if the Tecsun R-2010D simply had better selectivity and weak signal gain control, it would win this contest, hands down. In fact, I actually sent feedback to Tecsun engineering regarding the R-2010D selectivity shortcoming in the hope that they’ll fix this problem in future production runs. You might do the same. In conclusion, mechanically-tuned DSP portables may not pack DXer-grade performance, but they are priced so that everyone can afford to experiment. And for your buck, that’s pretty good radio bang! This article was previously published in The Spectrum Monitor. 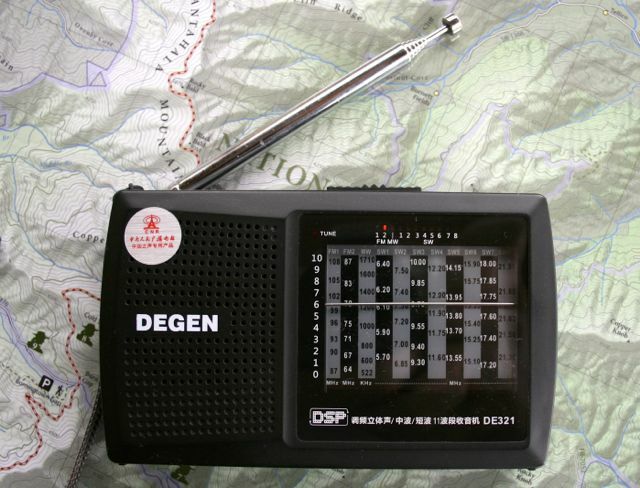 This entry was posted in AM, News, Radios, Reviews, Shortwave Radio Reviews and tagged Analog DSP Radio, Degen DE32, Degen DE32 review, Degen DE321, Degen DE321 review, Kchibo KK9803, Kchibo KK9803 Review, mechanically tuned DSP Radios, ShouYu SY-X5, ShouYu SY-X5 Review, SiLabs, Tecsun R-2010D, Tecsun R-2010D Review on February 1, 2014 by Thomas.